Here are some of the most frequently asked questions about Towersey Festival. If your question is not answered here please do feel free to email the Festival Office and we will be happy to help. There is wheelchair/mobility scooter access at all venues and in our headliner marquee, known as Venue 65, there is also a well-positioned viewing platform.. Our volunteers are always on hand and ready to assist if required. If you choose to stay overnight, there is a designated camping area for those with accessibility requirements. There are dedicated toilet and shower facilities in this area and if needed, hook-up for recharging scooter batteries etc. You may also keep a road vehicle nearby. 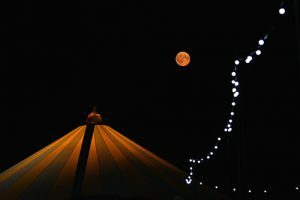 If you have any questions please call us on 01629 827016 or email us on info@towerseyfestival.com from where we will respond as soon as possible and do what we can to help make your visit to TOWERSEY FESTIVAL a great experience. Ground level BBQs and open fires are NOT permitted. Sensible height off the ground BBQs are permitted if used responsibly. The Festival campsites are available to Weekend or Day ticket holders. All you need to do is buy a camping ticket (per person) when you book your ticket. All campsites have toilets, showers and water points close by. There are chemical toilet emptying points. There is also a campsite shop on site for all those camping essentials. The sites are flat and well laid out. NB - there is no electrical hookup. Come and be part of our great camping community. Find out which site is for you HERE. There is a big free car park, which is available to all visitors and only a short walk from the main Festival site. There is a drop off point for people with disabilities. There are a limited number of car parking spaces for drivers with disabilities but if the driver is able-bodied please use the drop off point and move your vehicle to the main Festival car park. For Weekend and Day ticket holders, All About Children offers a jam-packed programmed of activities and events for the younger members of your family. If you would just like to join us for a day to get a taste of the Towersey experience you can buy a Day ticket, which covers all events on a specified day (space permitting). We are unable to accommodate dogs* on any area of the Site. *Dogs to assist people with disabilities will be admitted to all venues including the Festival Green. No-one should go hungry at Towersey Festival. We have a great selection of food choices to cater for all, including vegetarian and vegan options. We are also happy for you to bring your own food, so if you do have any other special requirements, there is no need to worry. There are licensed bars in all main venues and on the festival green. If you are staying with us for the weekend there are a couple of places on the campsite for breakfast and coffee. There is also a campsite shop for any essentials you may require. We do also allow visitors to bring in a reasonable amount of alcohol into the campsites for your own personal enjoyment. Once you have entered the event we ask that you do not re- enter with more alcohol supplies. You’ll be asked to leave any excess alcohol outside the event. Alcohol from campsites and car parks is not permitted onto the Festival Green or into any of the licensed venues. If you are seen bringing alcohol in, you will be asked to take it back to the campsite or discard it. Towersey Festival takes place on the outskirts of Thame in Oxfordshire, about 15 miles east of Oxford and only a mile from the village of Towersey (where the Festival was born). All of our venues provide some seating - the number of seats and layout is dependent on venue. We also have benches around the Festival Green and some undercover in the Market Square. If you prefer to bring your own chair you are welcome to use it in all venues where space allows and on the Festival Green. In Venue 65 you are welcome to use your own chair inside the tent during the day until 6pm. After 6pm you can sit on the benches, or you can see the stage from your own seat positioned outside the tent but inside the V65 compound. The Festival Site opens at 12 noon on Thursday for Weekend camping tickets holders. Weekend non-campers and Day tickets holders are welcome from 9:30am on Friday morning. All campers must have vacated the site by 12 noon on Tuesday. Over August Bank Holiday weekend, TOWERSEY FESTIVAL attracts around 3500 weekend visitors, and 2500 daily daily visitors. The Festival venues are within easy walking distance of each other. Whilst the Festival has developed and grown over the years it has retained the small village Festival feel that our customers know and love. Weekend ticket - covers all Festival events (space permitting), from the first event on Friday to the last event on Monday. The cost of camping is per person and must be booked at the same time as your ticket. Remember to specify which camping area you want to be in (space permitting). Please see camping & accommodation section for details. Day ticket - covers all Festival events on a specified day (space permitting). You can also camp the night of your valid Day ticket. The cost of camping is per person and must be booked at the same time as your ticket. Please see camping & accommodation section for details. Under 5s are FREE and do not need a ticket. If you are 18 years old or over and are available to work approximately 20 hours over 4 or 5 days then you might like to attend the Festival as a volunteer. You could join in with all sorts of things from administration and ticket checking to traffic control and venue management. Details of the main Festival events will be posted on this website as they are confirmed. If you cannot find the information you are looking for please contact the Festival Office and we will be happy to help. The full programme and lots more information will be available on this website as confirmed. It is also detailed in the Festival’s Souvenir Programme (£5). You can order your copy in advance with your tickets and collect it on arrival at the Festival. Children’s Weekend ticket holders will be given a copy of the All About Children's programme when they collect their ticket from the Festival Box Office. The programme is jam-packed with activities and events that are on throughout the whole Festival. For Weekend and Day ticket holders our programme is packed with amazing stuff for younger adults to get stuck into, dance, play, create or just sit back and watch. There are dedicated and exclusive "Youth" activities but we have also programmed a range of activities across the Festival that we think are perfect for our younger (and more energetic) festival goer. Start planning your Festival here.